Providing you the best range of trilogy 100 philips ventialator, emergency ventilator, portable and emergency ventilator, portable ventilator, portable electro pneumatic ventilator and hamilton ventilator with effective & timely delivery. Philips Respironics ventilation technologiesare designed for use in the home, hospital and alternative care sites and provideinvasive and noninvasive ventilator support for a wide range of adult andpediatric patients. Its Lightweight, versatile, and easy to use. Owing to years of experience in domain, we are engaged in offering a wide range of Hamilton Ventilator. This Ventilator Machine is used in hospitals for treating patients. The offered product helps in breathing by supplying oxygen to the lungs. Moreover, we provide Ventilator Machine to our customers as per recommended specifications. Intelligent Ventilation with ASV means fewer days on the ventilator and the use of less-invasive ventilation modes. Clinicians can spend more time with the patient and ensure shorter stays in the ICU. Aren’t a dozen ventilation modes more confusing than helpful? Aren’t there already more monitoring parameters available than most users ever need? Ventilators clearly need to be simpler to use 1. 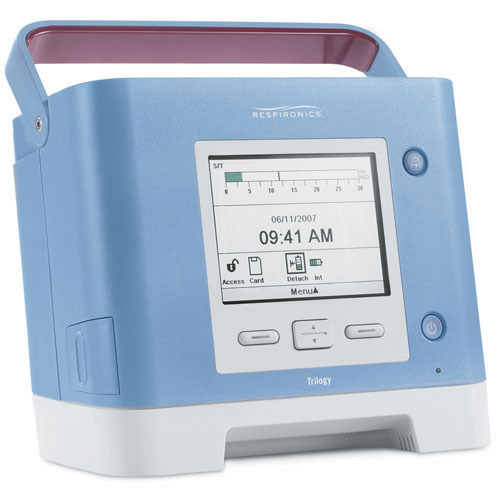 Once again, HAMILTON MEDICAL has led the way with the HAMILTON: a pioneering mechanical ventilator designed from the ground up for ease of use. In mechanical ventilation monitoring means curves, numbers and more numbers. But what do they tell us about the patient’s condition? The HAMILTON-C2 provides the innovative Ventilation Cockpit to visualize the patient’s respiratory mechanics and ventilatory support in an intuitive way. Ventilator Flight 60 with built-in compressor, battery for 12 hours, O2 mixer and a nebulizer. Owing to years of experience in domain, we are engaged in offering a wide range of Ventilator Machine. This Ventilator Machine is used in hospitals for treating patients. The offered product helps in breathing by supplying oxygen to the lungs. 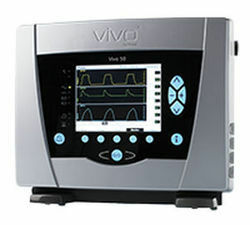 Moreover, we provide Ventilator Machine to our customers as per recommended specifications.